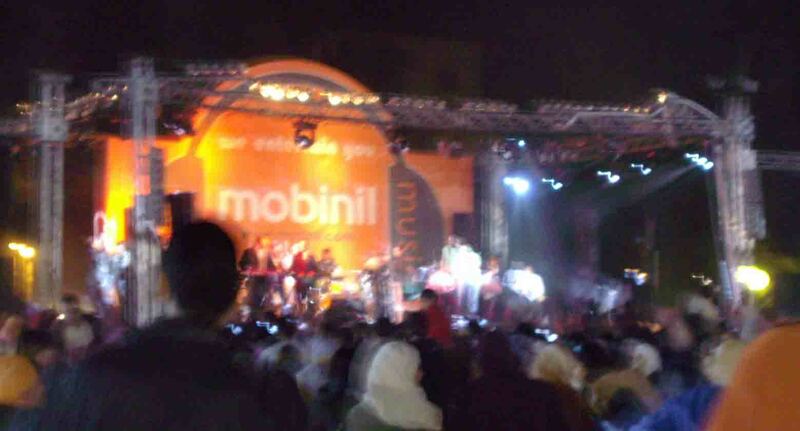 Yesterday, there was a big concert in Maadi club, sponsored by Mobinil, featuring Haitherm Saied, Mai Selim AND Mahmoud El Esseili. EL Esseili was hilarious, I enjoyed all of his songs, he was very energetic and made the whole crowd go jumping with him. Kan gamed gedan! This entry was posted in Maadi. Bookmark the permalink.